Back in 2010, I wrote a post titled "10 Uses of Wordle for Learning" in which I included the idea to use the fun, creative word analysis tool to analyze a transcript of a politician's speech and evaluate what the word patterns reveal about his/her message. After I wrote that, I thought to myself, "I really need to try that." 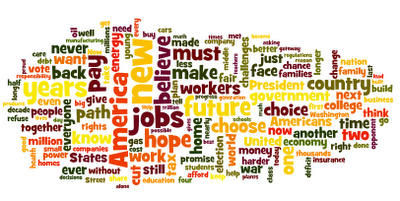 So, last night after President Obama delivered his nomination acceptance speech at the 2012 Democratic National Convention, I did a quick search and located the transcripts for his prepared remarks and those for the speech Romney gave the week before at the Republication National Convention. 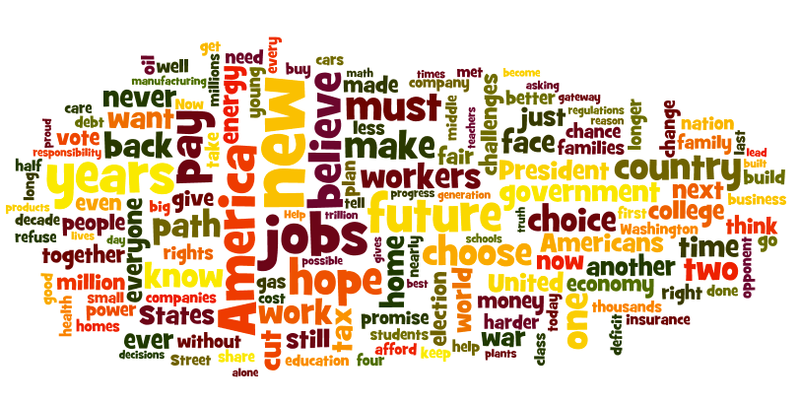 I plugged the transcripts into Wordle verbatim and the created two separate word clouds, using the same colors and font. 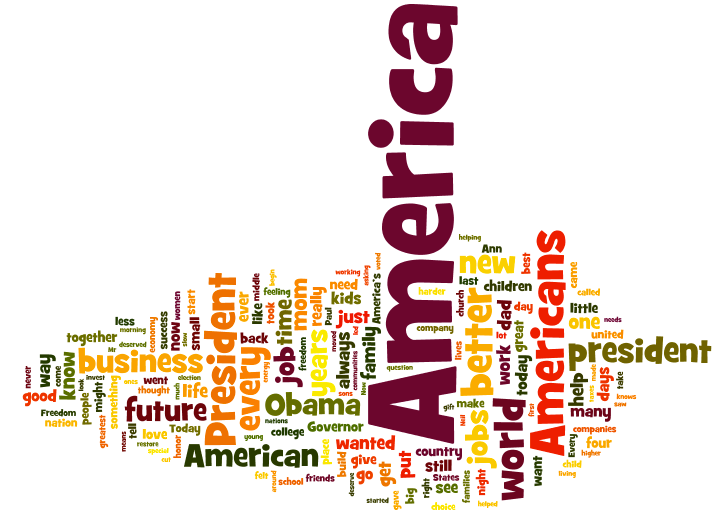 Keep in mind, Wordle automatically eliminates articles from the word cloud. If you'd like to use these word clouds for discussion with your students, you might find this handy Google Doc convenient. It is shared with a CC-BY (Michelle Pacansky-Brock) license. What do these reveal to you? Quite interesting to see how Romney is promoting/manipulating the sense of national pride! !